This is part of the story that is based on mail correspondence, interviews and memories. In c. 1841, on the east bank of the river Dziwna (ger. Dievenow), some kilometers east of Wolin in north-western Poland, the ruins of the medieval chapel were demolished. During the foundations of a new church, a medieval cellar crypt was unearthed and a large number of objects are said to have been found. There is talk of a large number of medieval coins, some gold objects, at least two swords and other items characterized as “silver and gold scrap”. The entrance to the cellar crypt was discovered by an accident by a young boy named Heinrich Boldt who played with some younger children at the construction site. Heinrich was nephew of the wife of one of the men invited by a pastor to a place near the construction site. The pastor, who served in churches in the Cammin-area, was somehow involved in the construction project. After the discovery the pastor took the responsibility to take care of the items. He decided that he would keep all silver objects and 1/3 of the gold. He also secured 1/3 for Heinrich while the rest was taken by men whose children had been present at the site at the moment of the discovery. The men and their families had apparently some religious difficulties with the Prussian authorities and decided that they would sell the gold and use the money to leave for America. The pastor’s almost entire share and half of Heinrich’s share was left in the cellar crypt and placed under the water to be invisible from the entrance. When the new building was finished the old crypt and the new basement was separated by a massive door. 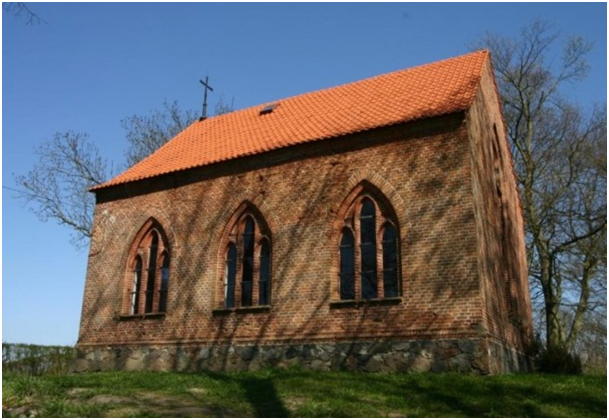 The pastor moved soon to Stralsund and later to an area near Rügen to work in schools with children. Heinrich seemed to follow him there but just within a year or two he had to leave for America just to avoid military service in Prussian army. 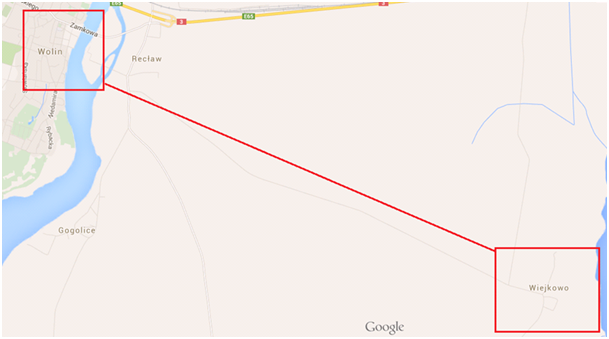 Before the Prussian-Danish war the pastor came back to the Cammin-area. In 1869 a letter arrived from Henry “Heinrich” Boldt [or Bold] of New York and he wrote to the pastor that he and his wife Elisa had five children and lost two of them but they were lucky because she was now pregnant again. He also mentioned that he got naturalized and this happened some months after the end of the rebellion. Henry also devotes a lot of pages to describe an escape when he and another man, a former slave Charles of Colored Troops (ger. Charles, der farbige Soldat), saved each other’s lives more than once and managed to get back to their respective units. Our research concludes that Henry Boldt was the maternal great great grandfather of Hollywood actors and producers Ben and Casey Affleck-Boldt. At some line, in the letter dating from 1869, he seems to refer to what is left of his share of the gold found in 1841. He writes that “he would need the pastor to dig up what they once had hidden on the island”. He also asks if the pastor still has some of the Boldt’s family memorabilia in his possession. 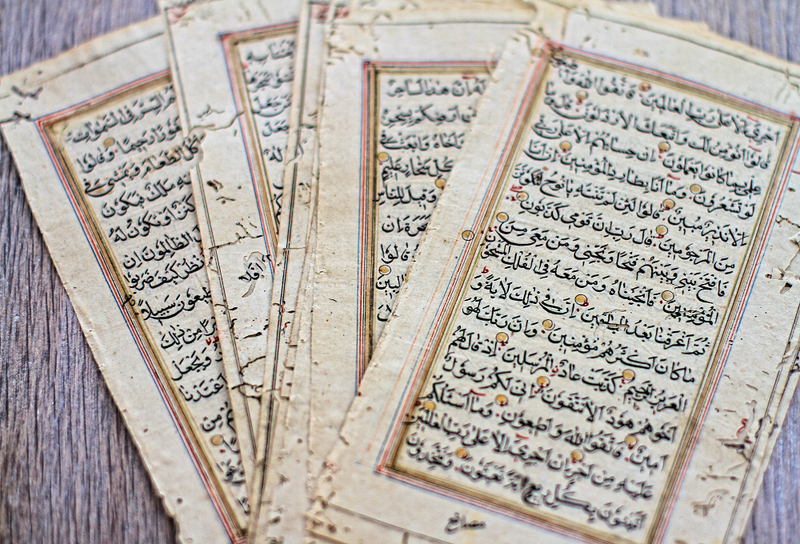 Among these a 17th century Bible (war booty from 17th century wars between Kingdoom of Poland and Sweden) and some pages of Quran (war booty from 17th or 18th century wars against Ottoman Empire) and some older books and handwritten documents (some of the these artefacts has been found in 1945 and are now stored in Malmoe, Sweden). The pastor did never read the letter as he probably passed away before the letter arrived. This letter together with a number of other letters were placed in the pastor´s 5 journals (approximately 5000 pages), the last journal covers the beginning of 1864. [Full translation of Henry’s letter will be available soon]. The land where the noble family resided changed hands through marriage when the current owner’s daughter Alexandra married the new owner. The family continued to own the land and the knowledge of the crypt and its content fell into oblivion until the spring of 1945. 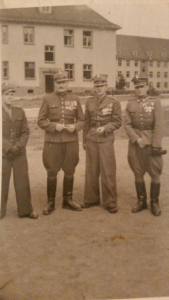 Approximately 100 years later in May 1945 three Polish brothers were reunited in Köslin, a little town in West Pomerania. 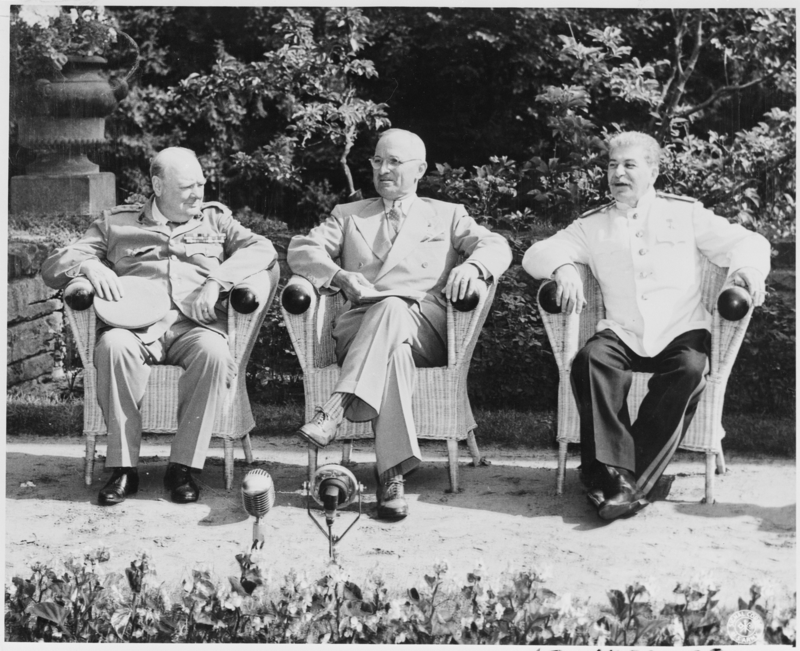 The brothers had been separated in 1939 at the outbreak of World War II. 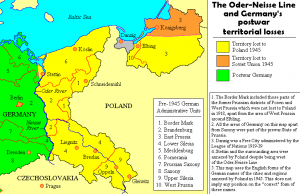 Köslin had been German for centuries but would now belong to Poland when the Allies decided that the new border between Poland and Germany would be drawn along the Oder River. The eldest of the reunited brothers was Michael Sielski and he was just about getting 30 years old. 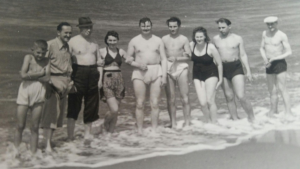 During the war he had been a member of the Polish resistance movement, and in 1943 he ended up in the Auschwitz concentration camp after being captured by Gestapo. 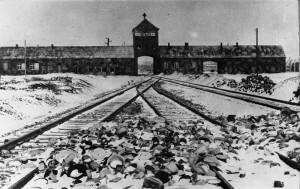 Auschwitz concentration camp was a network of German Nazi concentration camps and extermination camps built and operated by the Third Reich in Polish areas annexed by Nazi Germany during World War II. 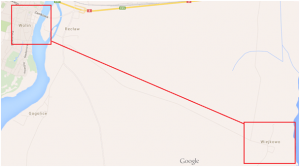 It consisted of Auschwitz I (the original camp), Auschwitz II–Birkenau (a combination concentration/extermination camp), Auschwitz III–Monowitz (a labor camp to staff a chemical factory), and 45 satellite camps. Auschwitz I was first constructed to hold Polish political prisoners, who began to arrive in May 1940. 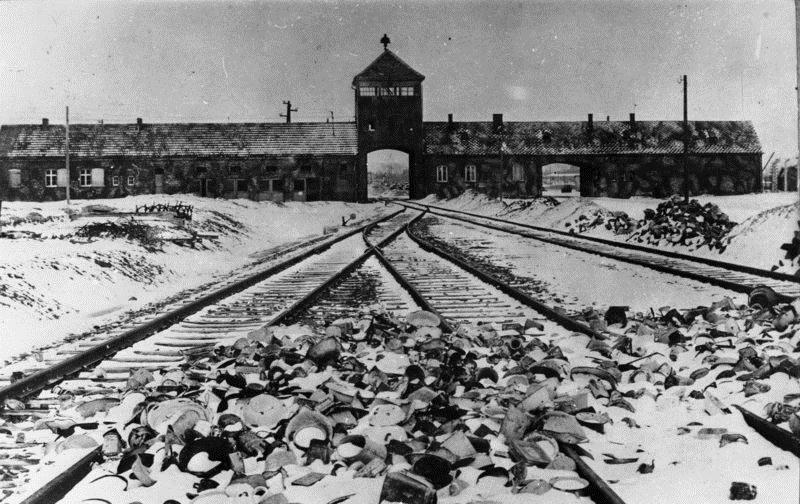 The first extermination of prisoners took place in September 1941, and Auschwitz II–Birkenau went on to become a major site of the Nazi “Final Solution to the Jewish question”. Michael ended up in the horrifying Auschwitz II-Birkenau where 75.000 poles were exterminated but Michael managed to survive captivity in the camp and after a brief hospital stay in Prague he went to Köslin to meet the rest of the family. The second brother’s name was Theodor Sielski and he had during the war taken care of the brothers’ mother, Maria Sielska b. Henger, and a younger sister, Janina Sielska, after his father’s death. The family had been among the first Polish settlers in Köslin. 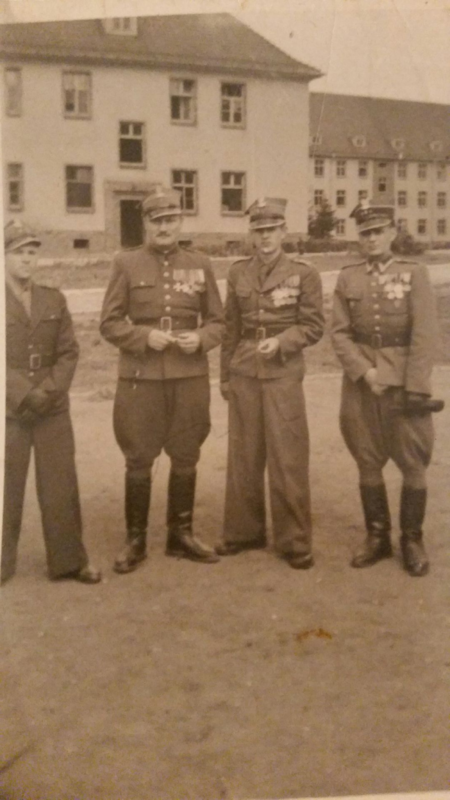 The third brother was Stefan Sielski and he was major in the Polish army. Stefan Sielski had participated in the fighting against the Nazis. After Germany had surrendered he was transferred to Köslin and was appointed commander of the local forces having the responsibility for the safety of the new settlers. Keeping law and order was not an easy task as organized bandit gangs and demoralized Russian army units ravaged, robbed and killed on a daily basis. Despite the difficult conditions the brothers managed to establish themselves in Köslin and saw a bright future ahead of them. In August 1945, Stefan Sielski was appointed to lead a military unit escorting Polish authorities from Köslin to Swinemunde on the German island Wolin which was administered by the Russian army. The Allies’ decision to draw the borderline between Poland and Germany west of the island of Wolin at the Potsdam Conference in August 1945 was unexpected for both Poles and Germans. 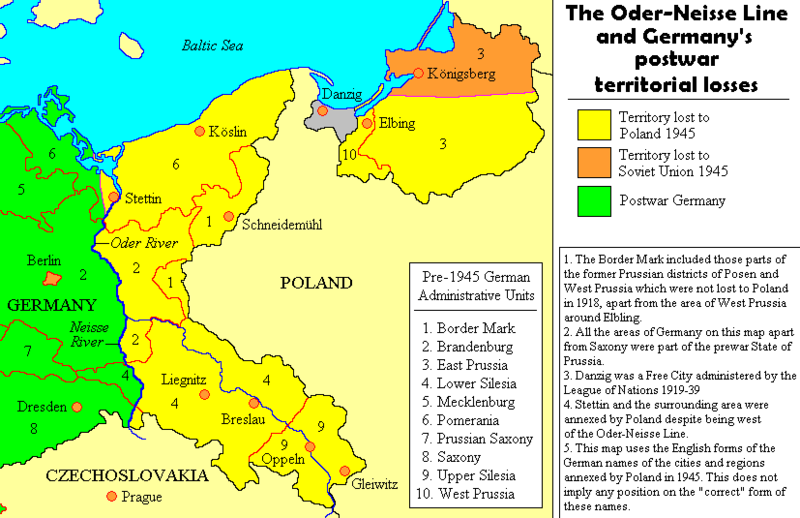 As a result of that decision Wolin was annexed to Poland. Hundreds of German-Pomeranian families had been evacuated to Wolin at the end of the war. In the belief that the island would remain in Germany, the refugees brought all their belongings with them. However, the new circumstances meant that they soon would be forced out again without being allowed to bring anything except some clothes. Stefan Sielski (second from the left) preparing for his first journey to Wolin in 1945. During Stefan Sielski´s first mission to Wolin he had several encounters with desperate Germans. 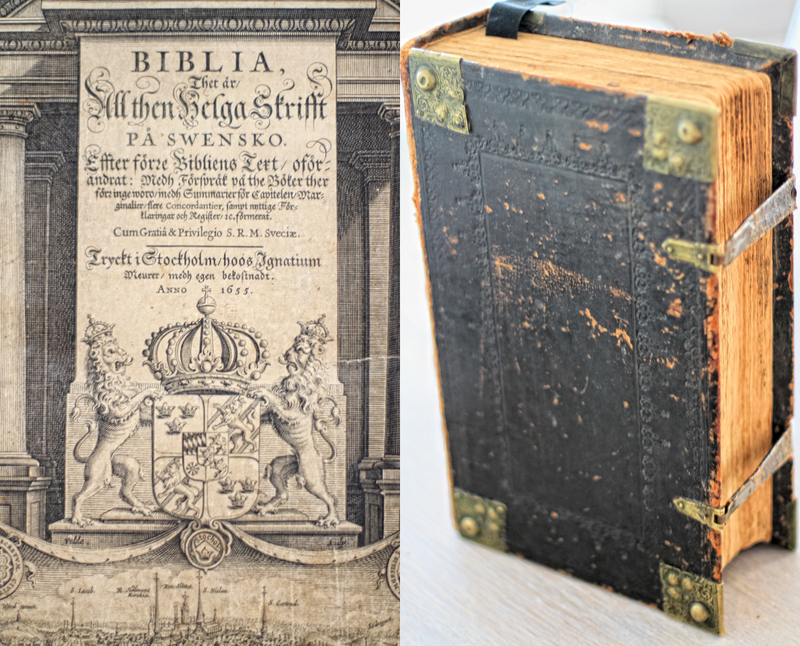 Stefan’s mother, Maria Sielska b. Henger, was German and had taught her sons to speak her native language. Stefan then had no communication problems with the Germans. Under unclear circumstances he met a German pastor who in turn led him to another German who was a craftsman named Otto. Otto and the pastor had helped two noble German families to hide a number of coffins a few months earlier when the German defense lines broke apart and Russian army units began to approach the noble families’ estates. The pastor was scheduled to be sent to Russia as forced labor (see: https://en.wikipedia.org/wiki/Forced_labor_of_Germans_in_the_Soviet_Union). Therefore, he needed help to find some documents that proved that he collaborated with German resistance and was a member of the “Bekennende Kirche”. The pastor also mentioned that he had close relations with the Swedish Church in Berlin in the early stages of the war and started to cooperate to help POWs, Jews and Nazi opposition to escape from Germany. He also told that he helped to set up a meeting between a Swedish pastor named Erich from Berlin and a person named Kurt von Pleten and that the subject of this meeting was a to organize an evacuation for one of the Nazi leaders in exchange for the release of prisons from Nazi concentration camps. Only days after this meeting pastor Erich got killed. The German pastor was desperate to avoid to be sent to Russia but he said that he could not reveal that he was a member of the resistance movement. The reason was that certain facts of his work with the resistance movement could have an opposite effect on the Russians. Therefore his only hope was Stefan who obviously didn’t had much in common with the Red Army. Otto, on the other hand, was wounded during the hiding of the coffins and was later transported to Wolin without any knowledge of his wife’s and young daughter’s whereabouts. He agreed to lead Stefan to the place where the coffins were hidden if he promised to take him back to the farmhouse on the noble families’ estates where he had left his family months earlier.